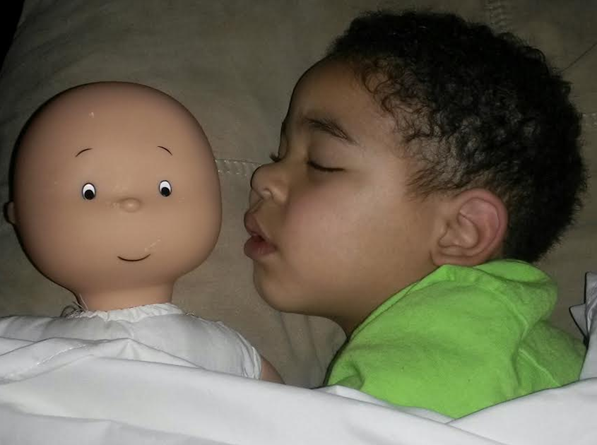 Do you have a Calliou lover in your life? 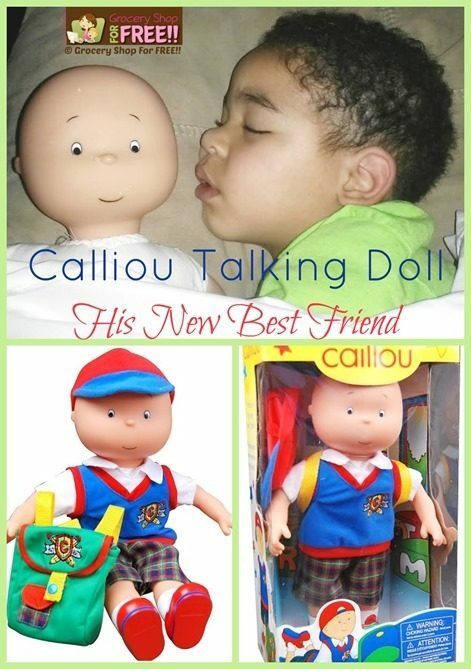 I do, our grandson absolutely adores Calliou, so I was thrilled when they approached me to do a giveaway of the Calliou talking doll! My grandson talks quite a bit, but the phrases that Calliou says are very clear and would be great for a child who is learning to talk. They would easily be able to mimic his phrases. The fact that he comes complete with backpack was one of my 2 year old grandsons favorite part! He loves to fill it up with snacks or toys to take with them on their adventures! 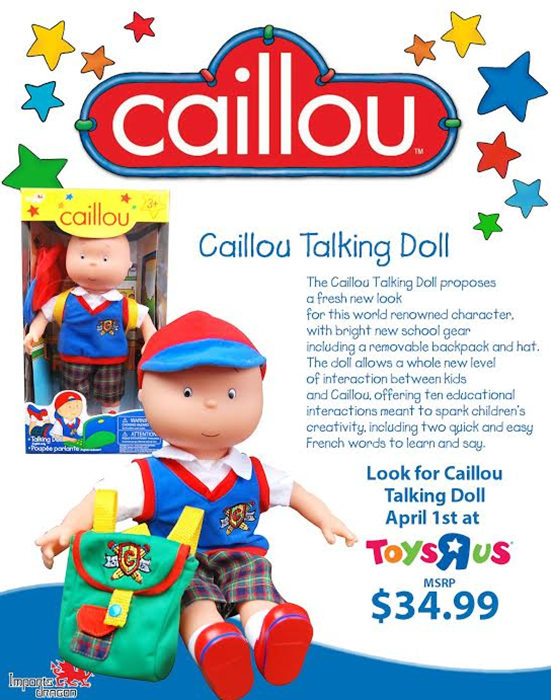 The Calliou talking doll hit shelves April 1st, so you can get yours now! Australia, Canada and others. 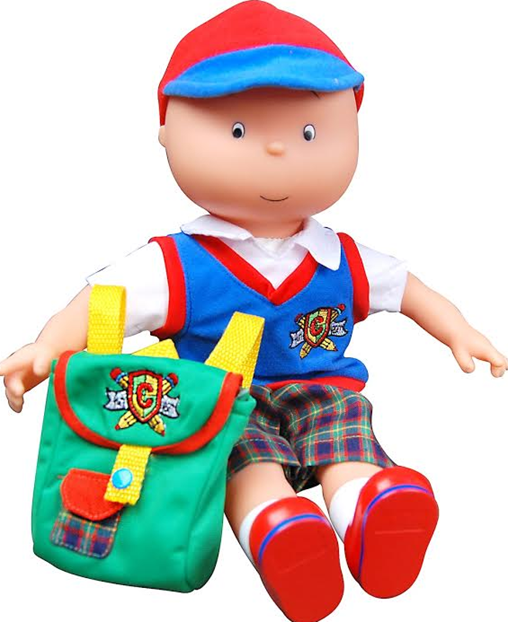 Caillou has won multiple awards, including two Parent’s Choice Awards, in consecutive years. Caillou has consistently ranked as one of the top 10 television series for preschoolers nationwide since its premiere in 2000.Caillou has won multiple awards, including two Parent’s Choice Awards, in consecutive years. 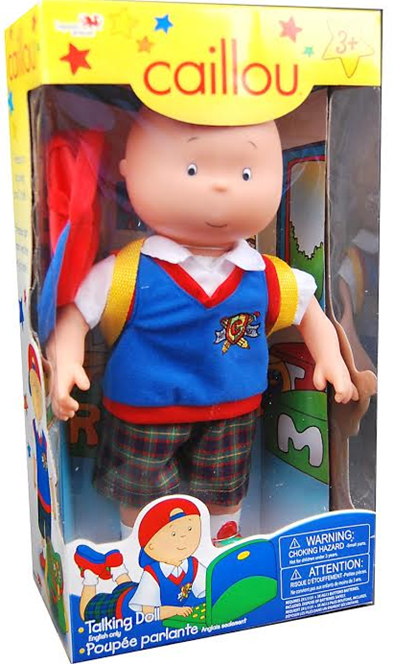 The Caillou Talking Doll is the first licensed product that will hit shelves as the Caillou brand leads into its 25th anniversary and celebrates 15 years on the air on PBS in 2015.